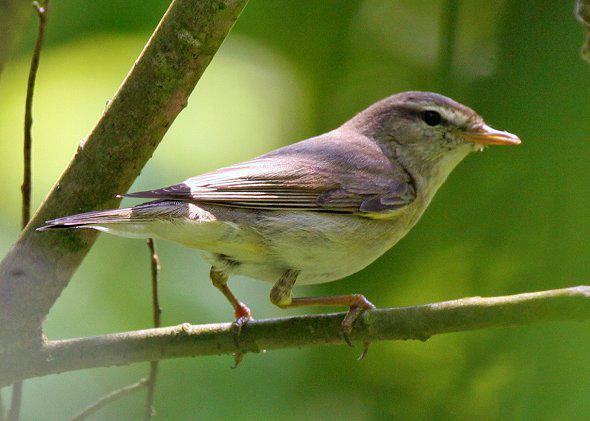 The Willow Warbler is a summer visitor. It has grey green upperparts and pale underparts. It can be difficult to distinguish between the Chiff Chaff if the bird is silent; one difference is the legs are flesh coloured, the Chiff Chaff's are dark coloured.